Parents spend their lives trying to bring up, nourish, teach and develop their children into the greatest human beings they can possibly make them. They make certain sacrifices and give up their lives for us. They support and motivate us to reach our dreams and goals in life and to see a future ahead of us despite the circumstance we will encounter on our road to success. And when we already turned our dreams into reality, it would be the best time to repay them for all their sacrifices, just like the story of this woman. 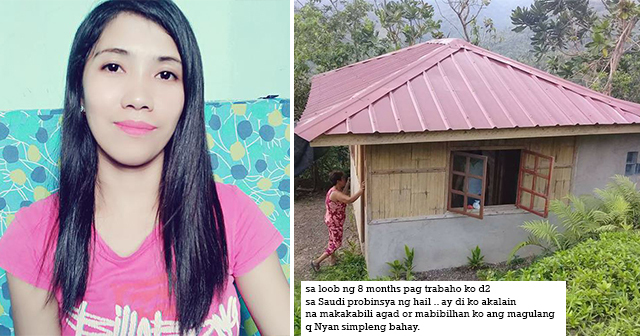 An overseas Filipino worker in Saudi named Renalyn shared a photo on Facebook showing her parents and their newly-built house. According to her, the house was the fruit of her labor for working in Saudi for eight months, and it was already settled before she shared it on the public. 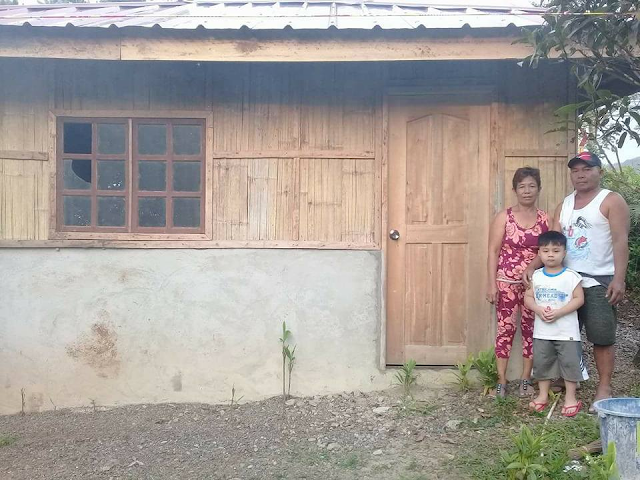 She really dedicated it for her parents who seemed happy with their new house as was seen on the photo. She also shared that aside from her parents, her motivation and inspiration to reach her dream is the people who criticize and doubted her capabilities of reaching her success and goal in life. What more inspiring in her post is when she quoted, “Work Hard on Silence and Let the Success be the noise,” which may hit hard on those people who criticize her. Her post went viral as it gives inspiration to a lot of netizens to teach them to strive hard for them to reach their goals and also to never forget to repay their parents. Success will never come when one gives up trying to reach it because it is primarily a result of the effort one puts in. Hard work, dedication and a motivation to repay your parents lead to a tremendously successful person. Keep striving for the goal, work hard, don’t give up and success will come on its own like what happen to Renalyn.